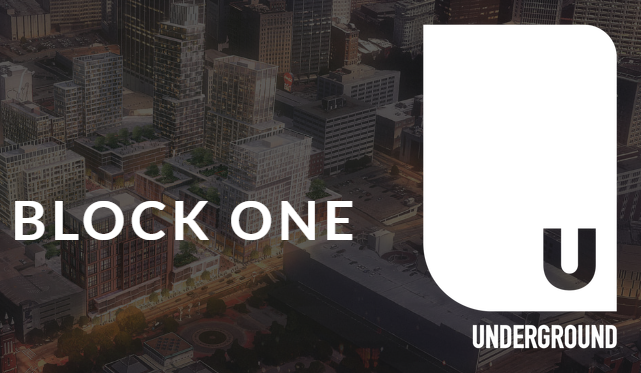 The next phase of the four-block Underground Atlanta revival, also known as Block One, is in full motion. With a vision to include residences, retail + hotel space, Underground Atlanta developer WRS Inc. has hired commercial real estate firm JLL to market opportunities for new developments at the project. A 1.9-acre block along Peachtree Street at the NW Corner of Pryor and Upper Alabama, Block One’s proximity to Five Points Station makes it one of the most compelling transit oriented development projects in the city. For more details on the WRS + JLL partnership for Block One, read the full press release here. Project details for Block One only can be found at www.undergroundblockone.com. To follow updates on the transformation of Underground Atlanta, please visit www.undergroundatl.com.